A strange working in 1977 was a shoppers' special from Holyhead to Llandudno. Catering for passengers from Ireland, it took them to the nearest decent shopping centre, which in 1977 was Llandudno. This is the return working, with 25074 leaving for Holyhead with a 3 coach set. In platform 2, 24081 awaits clearance to return to the shed, having brought the train in from Llandudno. 24023 clatters over the diamond crossings at the west end of the Junction and heads for Llandudno on the 1330 from Manchester Victoria. 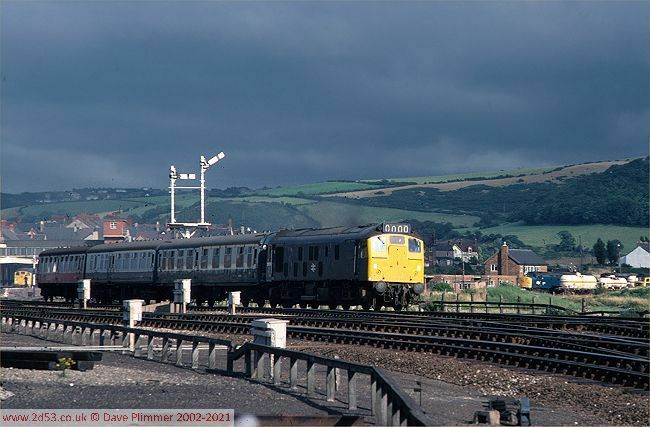 The date is the 12th July 1978, and the engine is working the second leg of a weekday diagram to Manchester and Crewe which started and ended at Llandudno Junction. In the background, locos from classes 40, 24, 25 and 47 can be seen in the sidings. 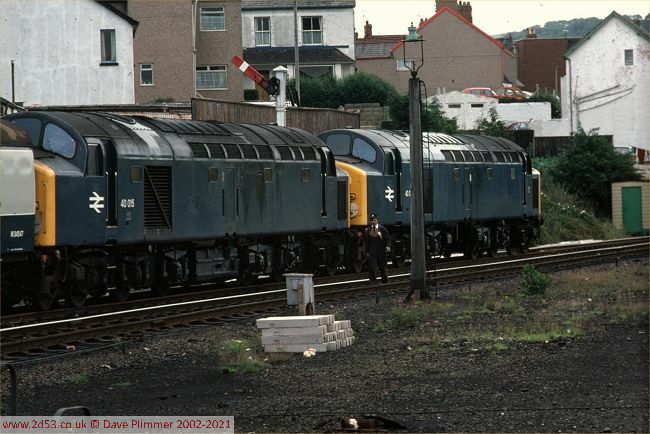 An almost identical photograph appears in Larry Goddard's book "Colour of the North Wales Main Line", taken just a second or so later. 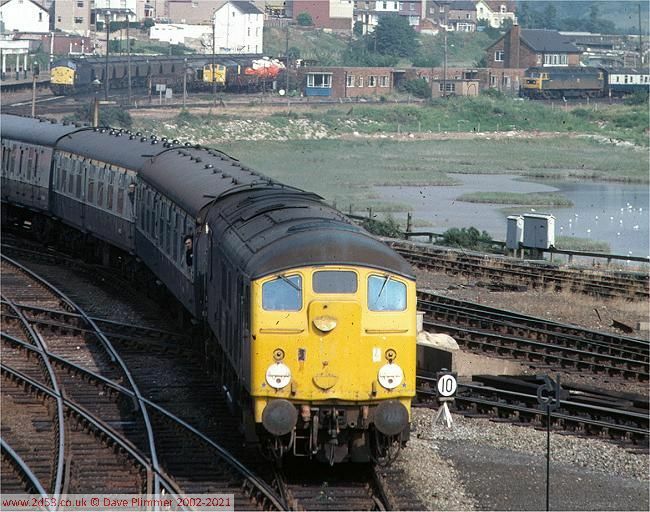 40100 arrives from Llandudno branch and runs into Platform 1with the 0942 Llandudno - Manchester Victoria on the 30th July 1980. Although the original semaphores and signal box are still in use, the first signs of the massive changes ahead are visible. 40079 has just been attached to failed 40015 on an up ecs working on the up goods loop, and is about to depart eastwards. 23rd August 1980. 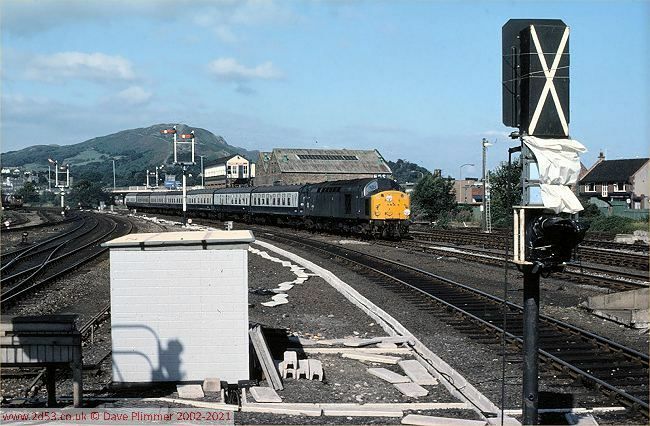 On 9th January 1982 25106 arrives on a Blaenau Ffestiniog to Llandudno service. 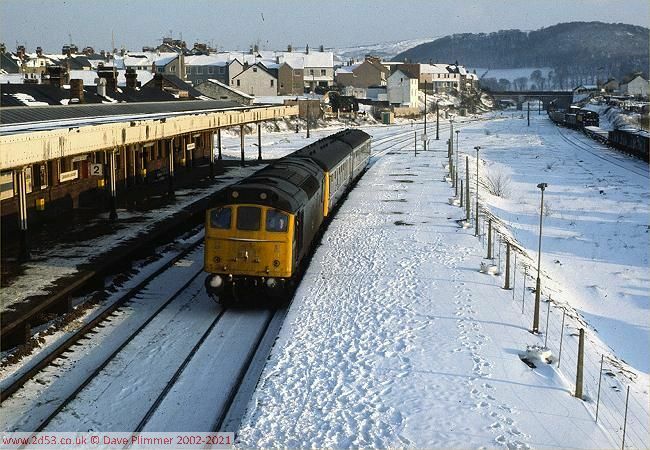 The 25 had been used to ensure that the dmu could negotiate the branch in the snowy conditions.